There is no question that Nashville is Music City. But what do you think of when you hear that phrase? For me, the great country and bluegrass singers immediately come to mind. I think most of us would agree that the face of Music City will always be those big stars that we all recognize. But the heart and soul of Nashville? That’s a crowd we are less familiar with. The people who create the music that we all know and love. 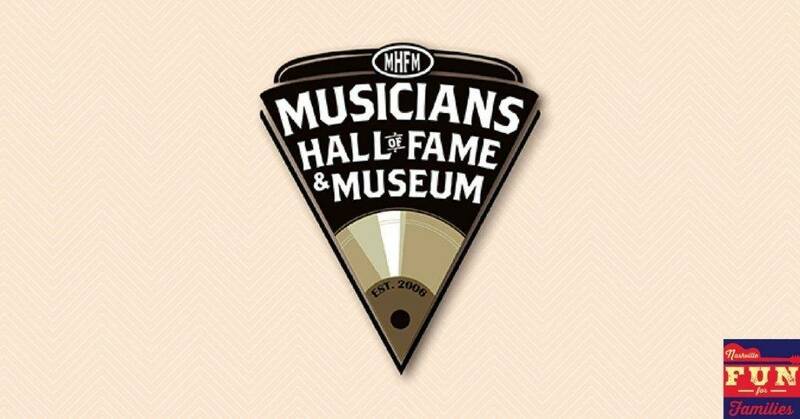 These are the people you will meet at the Musician’s Hall of Fame and Museum. Maybe you have a child that dreams of being the next American Idol? If so, you have take them here. They will learn what it really takes to create a hit song and get to know the back story, history and musicians that made American music great.They will learn about the hard work that goes into making a record and will be much more interesting to interview when they become a star themselves! The Musicians Hall of Fame opened in 2013 in a new location under Municipal Auditorium. The museum closed its doors in 2009 to make room for the new Music City Center. It has now been in its new home for a year and has 60,000 square feet at its disposal. The exhibit area is currently 30,000 square feet and there are plans to add more artifacts and displays in the near future. You begin and end your tour in the same place – a display of music players – starting with record players to eight track to cassettes to current MP3 players. We discovered not many kids today have seen a record player or a cassette (made us feel really old!). Turn to your left and a museum staff member will start a short movie about the focus of the museum. Garth Brooks sums it up nicely in the film – the Musicians Hall of Fame celebrates all the sessions musicians that back up all the stars you know by name. But without the musicians your favorite song wouldn’t sound the way it does. Exit the theatre and start your tour. The museum displays are in chronological order and covers many of the great studios that produced some of the most famous songs through the 1950s, 60s and 70s. This includes Sun in Memphis where Elvis recorded the majority of his hits. Muscle Shoals in Alabama, home of the Swampers, who played on some of the biggest hits of the 1970s. Continue thorough and explore Stax Records, Hitsville USA and Capitol Records among others. Starting with the first set of inductees in 2012, musicians are added annually. Some are names you know – Charlie Daniels, Duane Eddy, and Chet Atkins but others while well known in the music industry are new to the general community. All are amazing to listen to – check out some clips from the 2014 induction ceremony. If you go, be prepared to look for parking. There are several garages in the area or metered spaces are available near the Muncipal Auditorium. The museum is open to all but is geared toward older kids and adults. Give yourself an hour or two to be able to look at all the displays – as mentioned there is 30,000 square feet of history here and lots to see and read. And make sure you ask questions to the staff – they are very knowledgeable and will happily share some personal stories and insights that will add to your enjoyment.